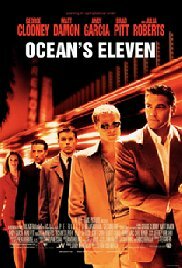 It could be a good plot for the next Ocean’s 11 sequel, but then again, maybe not. According to police, last week, a man from Oklahoma was arrested at a Tulsa casino for allegedly faking his own kidnapping, in the aim of collecting ransom payments from his wife and friends. Jonathon Michael Davis, age 34, of Owasso, Oklahoma, had not come home for three days since February 27 when his wife reported him to be missing. According to the wife, she received text messages from her husband’s cellphone on March 1, supposedly from her husband’s kidnapper. The messages from the ‘kidnapper’ demanded that money must be deposited into a PayPal account. Owasso police Deputy Chief Jason Woodruff said, “One message showed a photo of a broken finger and said that ‘they were going to continue breaking fingers until they pay’.” The ransom amount was $375. Posted on Friday, June 02, 2017 by "K". It happened this early Friday morning that several gunshots were heard at the Resorts World Manila. Initial reports stated a masked man fired his gun within the resort-casino premises and set an area on fire. While the turmoil brews, the resort-casino area has been put on lockdown. Now, Philippine police say that the gunman has killed himself. The unnamed suspect began firing shots and set a few gaming tables ablaze of the Resorts World Manila in the wee hours of Friday, June 2. Local media reports said that the local police, fire trucks and a SWAT team responded to the attack. Dela Rosa said that the lone gunman walked into one of the gambling rooms, fired his assault rifle at a big TV screen, and then poured gasoline on a gaming table and set it on fire. The police chief said the gunman then fired again at a stock room which contained gambling chips and filled his backpack with them, worth 113 million pesos ($2.3m or £1.7m). He then left the room and went upstairs to the hotel area of the complex. Get the Gold Card and win! Posted on Tuesday, September 13, 2016 by "H". If you like to play Blackjack, you should join Unibet in their new promotion. Unibet is handing out Gold Cards, and if you get one of those you will get real money! It's that simple. To join this promotion you just have to play at any of the exclusive Live Blackjack Tables at Unibet 1, 2, 3, 4, between 15.00 and 01.00 CET everyday. If you are beeing delt af Gold Card, you will get the following amount to your account within 72 hours. Read more » Get the Gold Card and win! Betfair Casino: new casino partner! Posted on Friday, July 26, 2013 by "M". We are very happy to introduce Betfair Casino as our latest casino partner. Most of you are surely familiar with the brand Betfair since it is one of leading brands in the online gambling industry but perhaps, primarily, for the revolutionary Betting Exchange concept that they introduced to the betting market in 1999. Betfair is offering high-quality online gambling products to more than 950,000 registered customers from +100 countries. Besides the Betting Exchange, Betfair provide Fixed Odds Betting, Poker powered by the great Playtech software iPoker, Bingo, Live Casino, Arcade Games provided by a mix of game producers like IGT, Cryptologic, BluePrint Gaming to name a few, Mobile apps for Casino and Exchange and, of course, a Playtech powered casino suit which holds all the classic slots that has made Playtech one of the most popular online casino softwares in the industry. One can easily state that Betfair will satisfy all player types! Betfair Casino: 200% up to £300 (or the equivalent value in your preferred currency)!! Click here for more information about Betfair Casino’s Welcome Bonus! Betfair Casino will keep you busy if you like casino offers. There is a great selection of bonuses and promotions that runs Monday to Friday. These include deposit match bonuses, cashback bonuses and Giveaway promotions. There is also a lot of product oriented promotions to suit all types of casino players. Among these promotions you will find special roulette offers, slots offers and other types of fun offers. If you become a loyal player at Betfair Casino you will also receive tailor made bonus offers to suit your style of playing. This bonus is only available for players residing in the following countries: UK, Ireland, Denmark, Spain, Portugal, Sweden, Romania, Hungary and Czech Republic. Posted on Friday, April 26, 2013 by "M". How about getting to see your favorite sports event this summer? Our long term partner, Casino.com, is hosting a great promotion, starting today (26th of April) and running through out the month of May where you can win a free package and go and see some of the biggest sports events that are soon to take place! Choose from: The Men’s Final Wimbledon, US Grand Prix, MLB Allstar Game, FA Community Shield or the British Lions Tour of Australia! - Click here and Register your casino account! - "Opt in" on "The Ultimate Sports Event"-page! - Receive your prize draw ticket and your exclusive Welcome Bonus of 100% up to $/£/€400 + 25 Free! Important: For every $50 you deposit within the promotion period, you’ll get a prize draw entry - double your chances by depositing $100 and triple your chances by depositing $150! - This promotional offer is open to everyone who is aged 18 or over and who deposits into their account a minimum of $50/£35/€40 during the promotional period. - The promotional period is 00:01 Friday 26th April to 23:59 (GMT) Friday 31st May 2013. - 1 prize draw entry will be provided for every first deposit of $50/£35/€40 (i.e., $50/£35/€40 will receive 1 entry, $100/£70/€80 will receive 2 entries, $150/£105/€120 will receive 3 entries). - The winning prize includes flights, accommodation for 3 days/2 nights and tickets to a sports event based on the player’s selection. - Players must select their chosen sports event (Wimbledon, US Grand Prix, MLB All-Star Game, FA Community Shield or British Lions Tour of Australia) prior to opting in to the promotion. - All eligible players – who have made a minimum FTD of $50/£35/€40 in any of our 4 casinos during the promotional period – will be put into a prize draw to take place on the 7th June 2013. Posted on Thursday, March 10, 2011 by "M". Class1Casino are happy to announce that they will shortly launch a new fantastic video slot machine from the Playtech software. This slot machine replicates both the island environment where King Kong is captured and the Big City where he is later taken as in the latest movie version of King Kong. Familiar faces from the movie will appear on the reels as well as certain movie scenes are represented in the bonus features. When you play this video slot you will be able to choose which mode you wish to play in. The paytable is the same in both modes but the bonus and free spin features are said to be different. Make sure to claim the Class1Casino No deposit Bonus here and get ready for KONG - THE 8th WONDER OF THE WORLD! Posted on Thursday, January 27, 2011 by "M". Microgaming announced on the 24th of January, one day before the opening of the ICE Totally Gaming exhibition in London held between the 25th and the 27th of January, that they have developed the first "true" 3D online video slot. According to Microgaming, the slot is based on the Sterling Silver 5 reel 25 payline. There will be a previewing at the exhibition but the launch of the game will be later this year. Posted on Thursday, June 03, 2010 by "K". Ashley Revell, 32, sold everything he had, including clothes, in order to gather up as much money as possible so he could place it on one single bet on the roulette wheel in Las Vegas. He became world famous over a night after that the media started to write about him. Everyone wanted to know more about this crazy guy. Even though his parents didn't like the whole idea - they still decided to come along to Vegas and give him their support. It ended up being Plaza Hotel and Casino in Las Vegas that Ashley was going to place the bet. 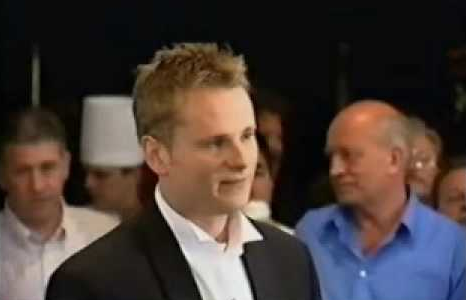 People from TV, radio and newspapers were all there that day to watch him bet his whole life on one roulette spin. Posted on Tuesday, December 22, 2009 by "K". NordicBet Casino just launched a unique, new, downloadable casino client for Net Entertainment games, becoming the world's first – and for now only – online gaming site to make such a product available. The client serves as a convenient, one-click gateway to all Net Entertainment slot games, table games, and video poker. It allows users to create tailored lists of their favorite games as well as a take advantage of premium offers available only via this channel. "It's a really slick app. 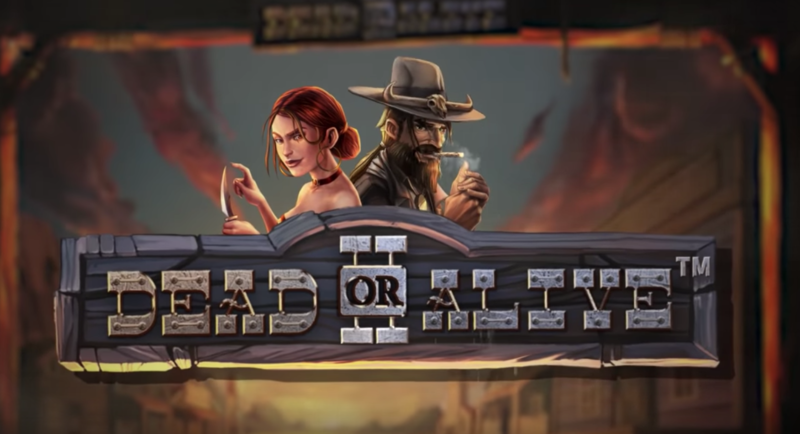 It gives players quicker access to our casino games from the desktop without having to use a browser, plus it has some other unique features that they'll find pretty exciting," said Tom Wood, Casino & Games Manager for Nordic Gaming Group. Read more » NordicBet Casino: FREE SPINS!